As a modern adaptation of the iconic Maskit ‘ Egg’ coat, first designed in 1954, the MIDBAR #4 demonstrates the timelessness of Maskit’s staple coat collection. This coat features elegant draping with a length that lends itself to versatility, allowing it to be styled toward any occasion. The airy, relaxed silhouette makes it the perfect item to layer underneath a any jacket to complete a cool, easy-going look. 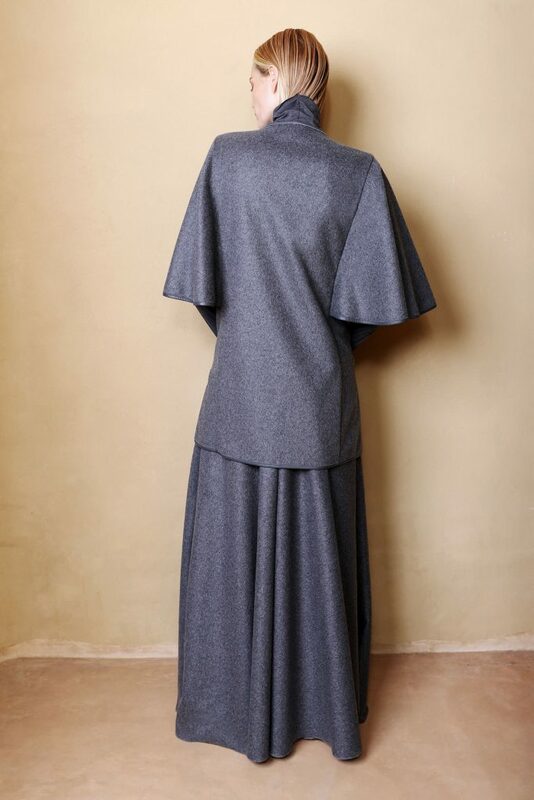 One size really does fit all as the draping can be styled in a variety of ways, either in a classic fold and drape, resting on the shoulders and clasped with a pin in the center or worn as hooded cape. Soft to touch and durable fabric with a non stretch leather Trimming .